The city of Aleppo, Syria, has been a dangerous war zone for over four years, with tens of thousands of people fleeing to save their lives. But, unfortunately, this means lots of once-loved pets have been left behind. 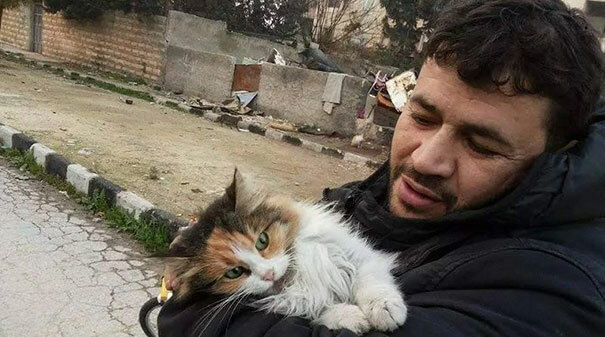 Previously working as an electrician, Mohammad now drives ambulances, rescuing people in need across the city. 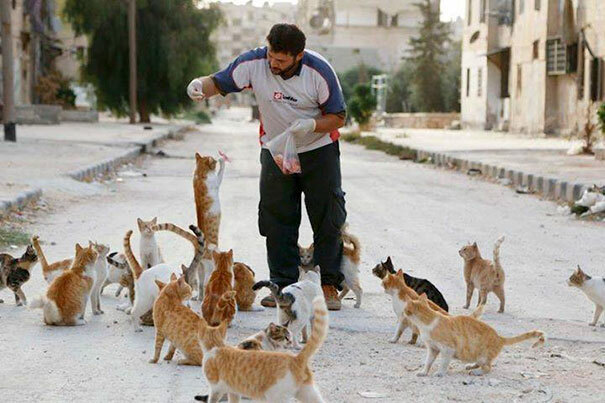 He also has created a sanctuary for cats called ‘Il Gattaro d’Aleppo’. “One time a little girl brought me a cat. Her parents wanted to go abroad. 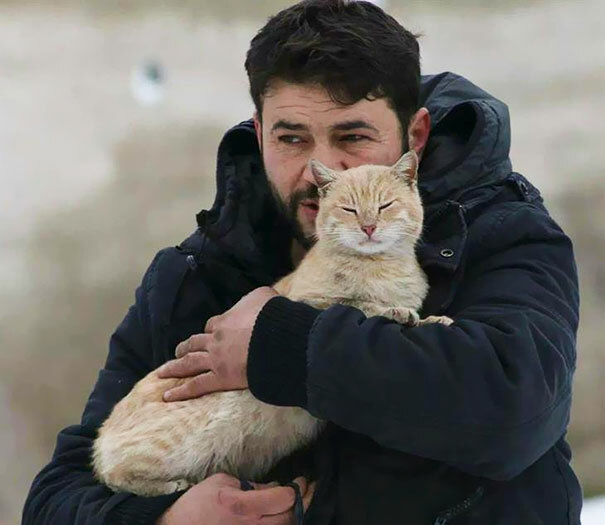 “The girl had brought the cat up since she was a kitten. 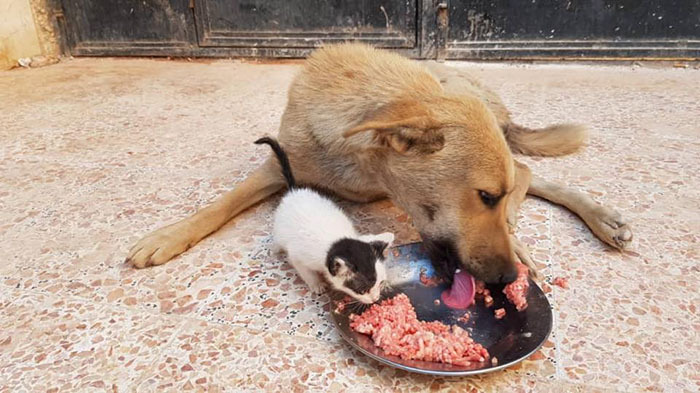 Recently, he found a stray dog named Amira and started looking after her – to ensure she was comfortable, he built a separate house for her next to the sanctuary. 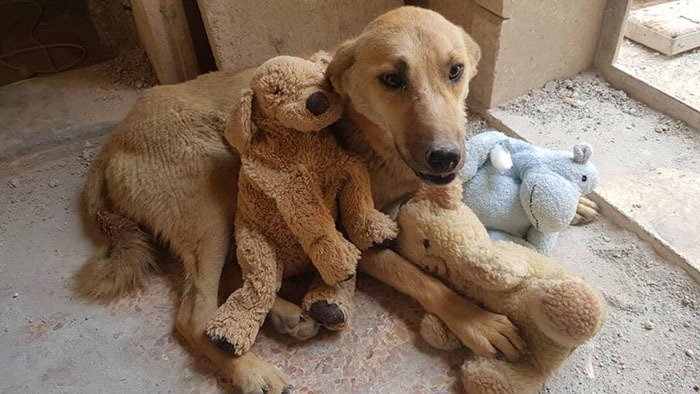 Amira was pregnant but, sadly, all her pups were stillborn. 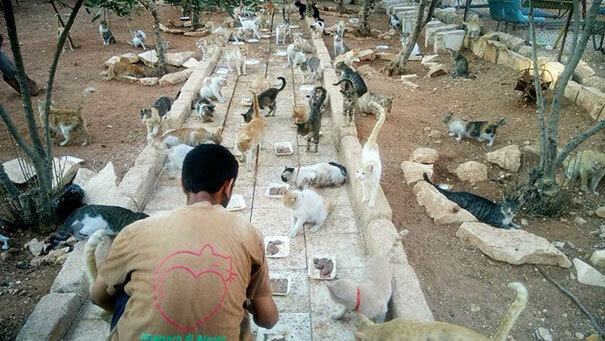 Alessandra Abidin, a volunteer at the sanctuary, told Love Meow: “We were sad and shocked. 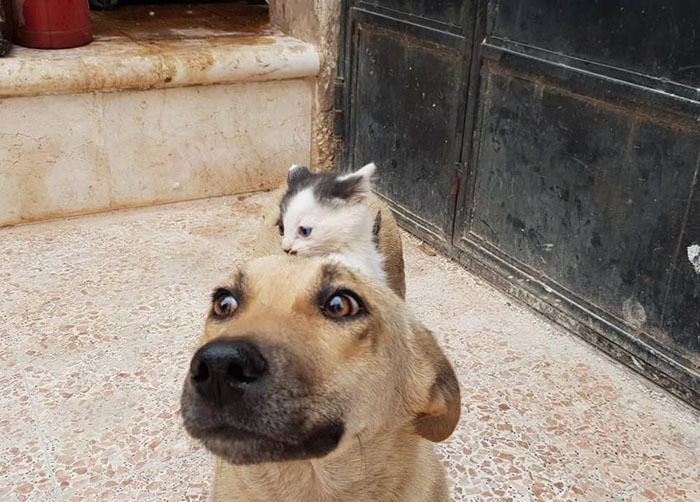 A kitten named Junior took notice of the heartbroken dog and her teddy bear, approaching slowly for some cuddles. The rest is history! 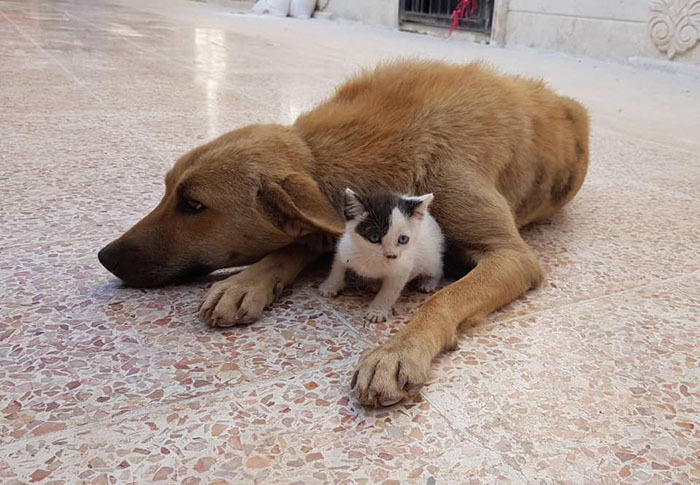 Junior and Amira turned into the best of friends, becoming inseparable.